There are countless great ideas for automating your home and making it smarter. One of the best ways to add lots of smart technology to your home, while keeping it manageable, is using Samsung SmartThings. We gathered 39 cool SmartThings ideas to show the variety of tasks that can be automated. Even if you don’t have SmartThings, there are ideas on this list you can add to your own smart home system. We made a popular video testing several of the ideas are and showing how to set them up in the SmartThings app. We don’t try all of the SmartThings projects on this list in our video, but it’s a great showcase of some of our favorite SmartThings ideas. Multipurpose sensor: This sensor is actually two magnets that notify you when they come apart. 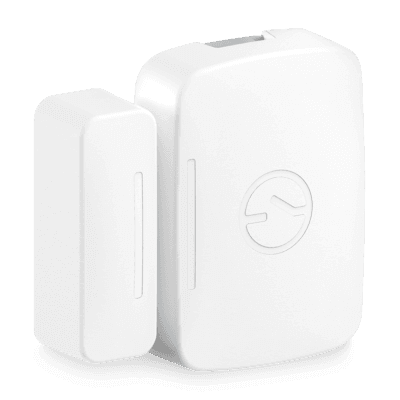 The sensor is ideal for monitoring when cabinets, windows, and doors are opened. It also monitors for vibration and temperature. 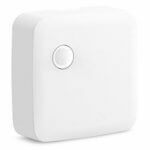 Arrival sensor: This sends notifications when people or pets arrive or leave the home. It’s designed like a keychain, so it can easily attach to your pet’s collar or a set of keys. It also has a beeping feature, which may help you find something you’ve lost. Water leak sensor: You can get notified right when excess water touches the sensor. You can also connect this with a siren sound or lights to notify you around the home, and it has a temperature sensor built in as well. Motion sensor: This sensor monitors for movement to send you notifications or trigger lights when motion is detected. This also has a temperature sensor built in. By integrating these different types of sensors with your smart home tech, you can automate different areas of your home and make it smarter. These fun SmartThings ideas are just scratching the surface, but they can get you started with making your home smarter using Samsung SmartThings. Be alerted if the garage has been open for longer than a few minutes. Since the bigger piece of the multipurpose sensor has a gyroscope in it, you can use it on its own to easily tell if you left the garage door open. Make sure you install it vertically, not horizontally, and you’ll want to specify in the settings that you’re using it for a garage door. Get an alert if someone opens the wine cabinet or another area off-limits to kids. Install one piece of the sensor on the door and another on its frame so that it can monitor when the door is open or closed. Don’t accidentally leave the pool gate open. Install a multipurpose sensor and receive notifications if the gate is left open too long. This SmartThings idea won’t work if your pool gate is uncovered since the sensors are not rain-proof. Know if your kids are sneaking out at night by keeping track of each time the door is opened. Every opening can be logged in a Google spreadsheet using IFTTT. Use the vibration sensor in the multipurpose sensor to alert you if the window was hit hard. This could alert you of a break-in, or the neighbor kids crashing a baseball through your window. SmartThings sends you a reminder if it’s about to rain and you have windows open. Install multipurpose sensors to monitor when windows are open or closed. Have the thermostat automatically turn off if the window is open to reduce energy usage. 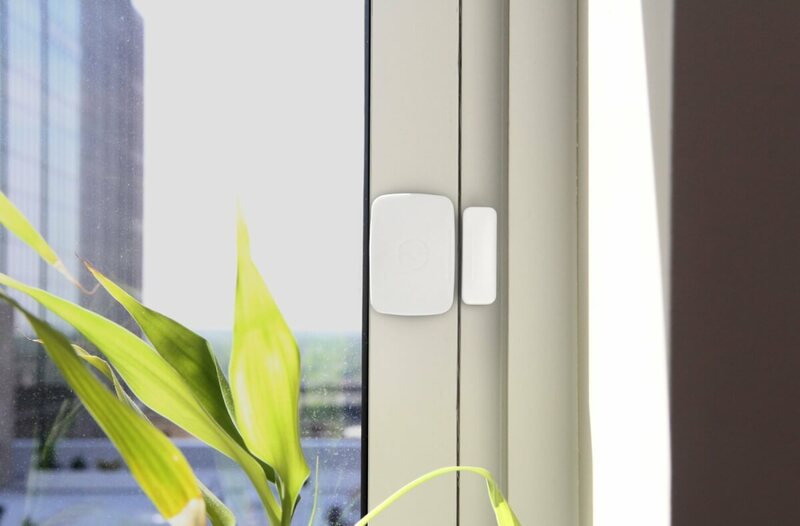 Place a multipurpose sensor on a window or door that you open when the weather is nice. Then set your thermostat to turn off when the sensor shows the window is open. Use it as a temperature sensor to adjust your thermostat. This even works with Nest using the NST Manager. Use the app IFTTT (If This, Then That) to log your multipurpose sensor temperature to Google Drive. 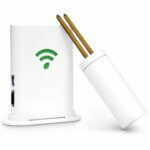 This could be a great way to track your home’s temperature in certain areas of the home. Multipurpose sensors on the window will let you know if the room has adjusted to the outdoor temperature. Don’t spoil any food by accidentally leaving the fridge door open. Install a multipurpose sensor on your refrigerator door and receive alerts if the door is left open for too long. SmartThings can remind you to feed your pets. Add a multipurpose sensor to your pet food containers and set SmartThings to alert you when there is no vibration all day. Multipurpose sensors can notify you when the mail arrives if the mailbox is opened and shut. The only potential issue is that these are not weatherproof, so if the inside of your mailbox collects rain then the sensor could get ruined. Monitor if your dog runs away using an arrival sensor which alerts you when your pet leaves your home. Receive a notification whenever your cat wanders in and out. If they are gone for longer than usual, you will know before arriving home. Monitor when cars are coming and going from home by attaching one of these sensors to the keys. Since the sensor can also beep when triggered from the app, you can use it similar to Tile or Trackr Bluetooth trackers to ring your lost keys and help you find them. Place these anywhere you want to monitor for a leak. By your hot water heater is a common place for installation. Monitor the temperature around your pipes while also keeping an eye out for water leaks. Since the water leak sensor can track temperature, it can notify you if the temperature around your pipes is getting too cold, preventing a burst pipe in the wintertime under your sinks. Use a Hue light for a kid’s nightlight. Turn off the light when there is no more motion using a motion sensor. 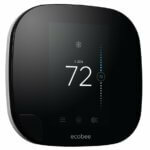 When everyone leaves your house, have SmartThings adjust a Honeywell or Ecobee3 thermostat to save money. You can also use Nest with the NST Manager smart app. Walk into your garage and have the lights turn on automatically from motion. Arm the motion sensors when going to bed by setting them on a schedule. Then if motion is seen after that time, you can have lights turn on, a siren sound, or video cameras record. If you are away, get an alert when your kids, dog walker, or anyone else goes into your bedroom. Have the stair lights turn on with motion detection. Using motion sensors with smart lights makes it way easier to get up at night. There is so much smart home tech that works with SmartThings hub. By getting smart home gadgets and SmartThings working together into your set up, your home will be impressive and automated to your exact preferences. Without the SmartThings hub, you will probably find yourself frustrated with all of the separate apps and functionality of smart home technology in your home. SmartThings lets you manage all compatible smart home devices within the SmartThings app, which is much more cohesive and easy to use than individual smart home apps. Here are just a few smart home gadgets to get you started with your SmartThings projects. 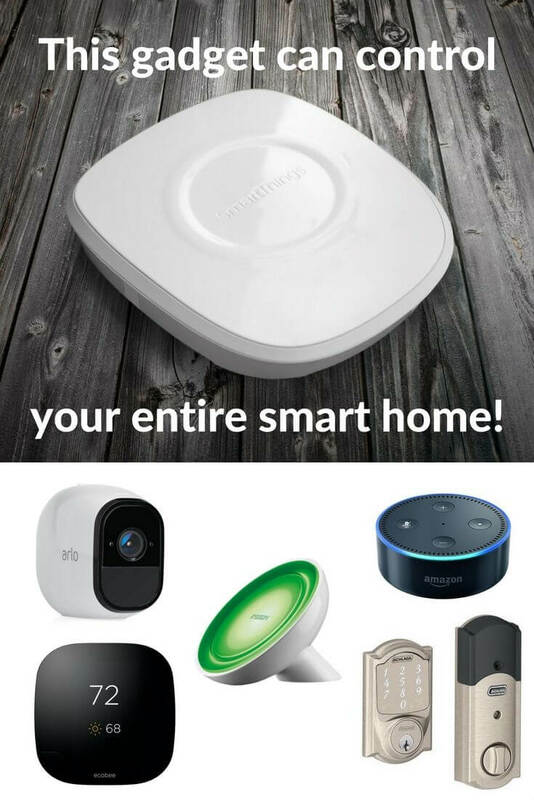 All of these are compatible with SmartThings. If it gets too hot, your fan can automatically turn on to keep your home cool without cranking up the AC. Set SmartThings motion or multipurpose sensors to monitor your temperature on a hot day. When it gets hot, have the fan automatically turn on. You can do this through a Zigbee-enabled fan controller, or a Z-wave wall switch. For a small box fan, just plug it into a SmartThings outlet for simple automation. Have Samsung SmartThings change your thermostat to daytime temperatures a half hour before you wake up; no more waking up to a freezing house. Turn off your thermostat if the outside temperature is higher than 60 or lower than 80 degrees. 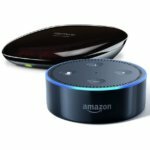 Use your voice to turn on the TV and change the channels using Alexa, Harmony Hub , and SmartThings. This may seem like a lot of devices for one of our SmartThings ideas, but each is necessary if you want to control your TV hands-free with Alexa. SmartThings can mute Sonos when an alarm is going off. Sonos can play you a welcome home message or favorite song when motion sensors see that you’re home. Set up movie mode, where you dim your lights automatically using the Harmony hub. Lock your Schlage front door with SmartThings. Use a good morning sequence to disarm your alarm system. Start recording on your Arlo camera when SmartThings motion is triggered (more Arlo ideas here). This could be a huge benefit since Arlo is known for its delay in recording, causing you to miss the first few seconds of footage. Strategically placing a motion sensor and triggering it to record on your Arlo cameras sooner could solve this issue entirely. 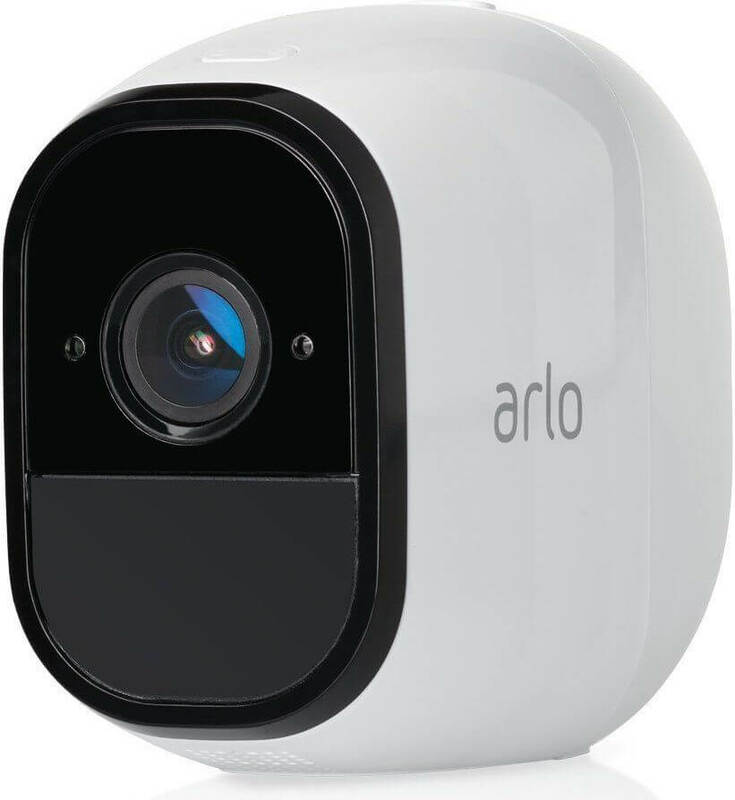 Arm your Arlo cameras automatically when going to bed. Use a Leviton Appliance Module connected to SmartThings to start and stop a “dumb” slow cooker. Perfect for those days you are working and need to turn off the slow cooker while away from the kitchen. Turn on your porch lights at sunset and off at sunrise. Know when your plants need water with a Soil Moisture Sensor. When everyone leaves, have all of the lights turn off. When you arrive at home, have the lights turn on and the front door unlock automatically. Have the garage door open when you are about to arrive home using the GoControl garage door controller. If you are still researching SmartThings and deciding whether or not to buy it, you will also want to look into Wink Hub 2. We purchased both to compare them in our article Wink vs SmartThings. While I generally recommend the SmartThings hub, Wink works with other devices that SmartThings doesn’t and might be preferred. It can be easier to setup and control since it is very straightforward and less complex. The Samsung SmartThings hub brings endless possibilities to your home. It’s pretty amazing everything you can automate. 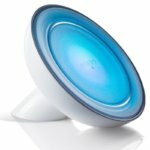 There are so many more SmartThings projects other than what we listed here; check out the SmartThings community and subreddit for more examples. Make sure you share your cool SmartThings ideas that we didn’t mention in the comments below! The blog indicates the different things that smartthings can do, but how do you set up these alerts? I am trying to set up an alert to indicate when my doors are left open too long, but I am not able to find this capability in the smartthings app or even in the smartthings classic app. Hi Robin thanks for your comment. SmartThings likes to make things hard to find and I’m going to make another blog on how to do some of these features. I will try to explain how to do it though. In the SmartThings Classic app go to the Dashboard on the bottom left. Click on Smart Home Monitor. Click on the little settings button or gear button on the top right. Click on “Custom” and “New monitoring rule” and then “What kind of device do you want to use?” then choose “Open/Close Sensor” and from here you should be able to select what you want i.e. when it’s open for 5 minutes and then next screen will allow you to choose the notification options. Hope that was helpful.